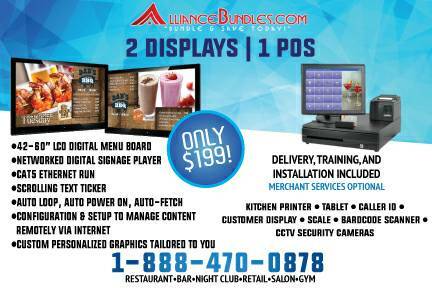 POS System, Digital Menu Board & CCTV Security Camera Bundle. One phone call and your DONE!! Qty 2: Choose your Custom POS Software for Bar, Night Club, Diner, Pizzeria & more! Come checkout our showroom!! Everything in -stock locally.